The commercial litigation attorneys at KALIS, KLEIMAN & WOLFE regularly help creditors (bank, financial institutions, investors, mortgage companies, insurance companies and more) in matters involving contract obligations, collections, liens and foreclosures. In addition, our attorneys also help debtors (consumers and businesses) protect their rights against lenders, creditors, and equity holders in matters involving liens, debt discharge, and more. Whether you are a debtor or a creditor, you have rights that are protected under state and federal law. How to proceed depends on the kind of debt which exists between the creditor and has the debtor. The debt is either secured or unsecured. If you need to establish the amount of a debt r obtain payment of it, resolve competing claims with other creditors or fend off liability claims or other creditor / debtor matter, you need an experienced law firm to protect your rights. 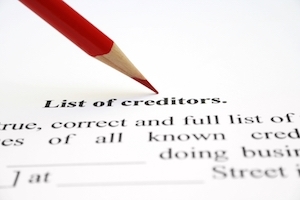 With our ever-changing economy, debtor and creditor litigation is very common. If you or your business needs legal help pursing or resolving an ongoing debtor/creditor dispute or if you have questions regarding your legal rights, contact the experienced Commercial Litigation Attorneys at KALIS, KLEIMAN & WOLFE, the South Florida-based law firm today at (954) 791-0477.